Sasha dreamed of owning a Spa that was particularly attentive to the needs of pregnant women and moms, after her own struggles with her pregnancies and being a mom herself. Her passion for all women, and mommies and pregnant women in particular, does not stem just from her personal experiences but Sasha is also a qualified demographer with a specialisation in Child Health, and Sexual and Reproductive Health. 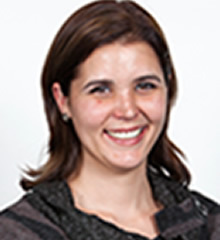 Andreia Studied a 3-year Somatology Diploma at Camelot International. 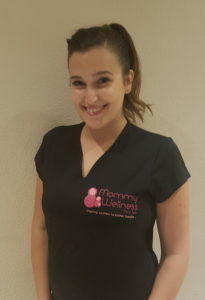 She is Head Therapist and Manager of Mommy Wellness Day Spa Randpark Ridge Johannesburg. Andreia loves to treat her clients with pride and care. She has an undeniable passion for beauty and wellness – and takes great joy in living her passion and instilling this passion in others. A happy client is a loyal client, and I am so blessed to have so many loyal clients – means I must be doing something right! Our clients are our number one priority, and no other profession could make me happier. 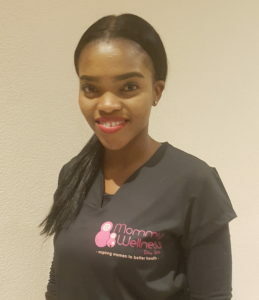 Enele is the newest addition to Our Mommy Wellness Randpark Ridge Team. She has a 3 Year Diploma in Somatology from Camelot International. Enele has a major passion for treating others, and this shows in the care and enthusiasm she has for each and every treatment, always giving 101%. 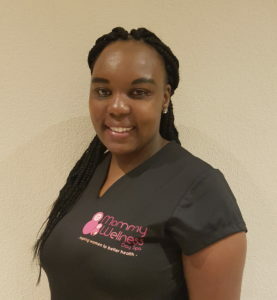 Phumla has a diploma in nursery school teaching, having started at Mommy Wellness Randpark Ridge as the childminder. While working at the spa, Phumla discovered a passion for Massage, and qualified as a massage therapist. Phumla gets numerous compliments every week for her “healing hands” and is often told by clients that “it’s the best massage (they) have ever had”. Phumla’s greatest joy comes from making sure her clients’ needs and requests are fully catered for, always taking great care in making sure her client leaves feeling happy, relaxed and rejuvenated. with a massive drive to leave her clients feeling great after their treatments with her.